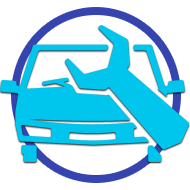 When your vehicle is suffering from a problem, it needs to be repaired fast. Put your trust in experienced engineers to ensure that the issue is resolved and your car is once again safe to drive. At Oaksey Garage Ltd, we provide a comprehensive range of vehicle maintenance and repair services, covering all of the major parts that comprise your vehicle. Get in touch with us now to book your next appointment. Call us to receive the assistance of experienced vehicle engineers. Enjoy your vehicle performing to its full potential by visiting our car garage. Based in Cirencester, Gloucestershire, we carry out a variety of vehicle services, including servicing, maintenance, and repairs, working on all makes and models of car and van. Our owner worked in a filling station for 15 years, before ceasing the opportunity to move to larger premises and set up his own business. More than a decade later, a lot of the filling station's customers followed him and are now loyal clients of Oaksey Garage Ltd. With more than 25 years of experience, we complete an extremely high standard of work while maintaining affordable prices. Oaksey Garage Ltd is a proud member of the Federation of Small Businesses. Contact our car garage now, in Cirencester, Gloucestershire, to acquire more information about our vehicle services.